Over the last decade the number of venues available for events has shrunk. The Wildlife Hall at the top of 2nd is now a church. Studio B was around for a while and then the Gazette moved back there. The Senior’s Centre in City Park is out of commission for the foreseeable future. There are 2 less hotels downtown thanks to arson. There is a dance hall in the Davis Block but it hasn’t seen a dance seen the 50s or 60s. The Scout Hall isn’t used for much beyond scouting meetings. We have no Community Centre. A few years back I was involved in a co-op effort to purchase and operate the Gem theatre. The idea was to preserve some succession of a community entertainment resource. So that it wouldn’t come to an end when the owners retired. For various reasons that never came to pass and even though the place got damaged in the flood the Paquettes, bless them, are forging ahead with repairs so the theatre likely isn’t going away anytime soon. Now there’s another community entertainment resource in danger of going away – the Bowling Alley. It was flooded just like all the other businesses in that area. Unfortunately the owners cannot afford the restoration . . . 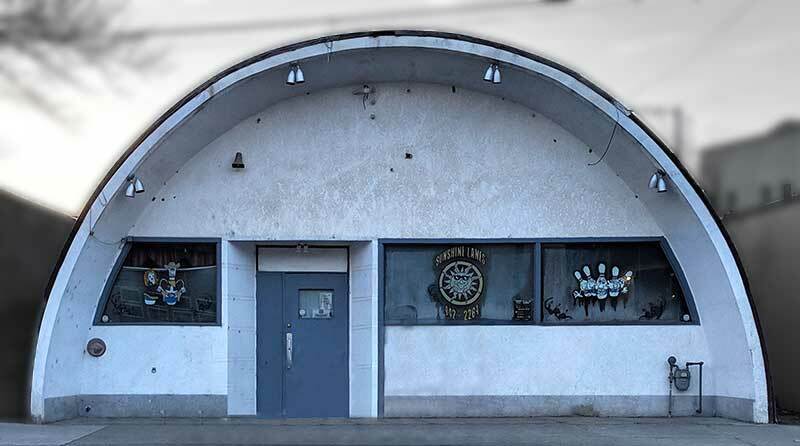 When you look at that big Quonset-style building forget for a moment that it is a bowling alley. Instead imagine what a venue it could be if it were gutted and redone inside. It’s right downtown. It’s fairly spacious. A single large space with a high ceiling. What could we put on in there? Dances? Music concerts? Sure . . . but what else? Imagine a double row of gaming tournament stations running down the centre aisle with screens projected onto the curved ceilings. Imagine something, anything that you could do indoors in a space that large. It got flooded. As far as I know the furnace and any other equipment in the basement was trashed so it’s cold hulk. It likely needs to be gutted seeing as it’s been closed up since the flood. How much would that cost? I’ll admit I do not know the answer to that. 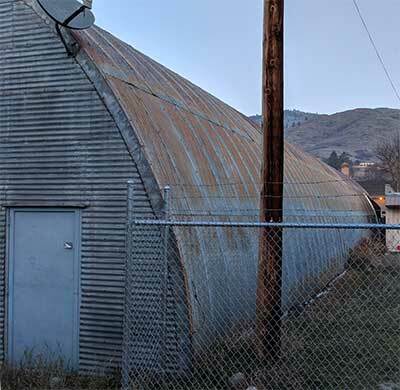 Is there Asbestos remediation needing to be done? I don’t have the answer to that though, given other places experiences, I’d imagine there’s some in there somewhere. So that would add to any renovation costs. What shape is the roof in? The foundation? I don’t have those answers either. What I do have is an idea. The town doesn’t have a Community Centre . . . or any real venue of any size downtown. I have an idea. This entry was posted in Editorial and tagged bowling, community center, community centre, venue on November 21, 2018 by gftvboss.